Domaining for Pros: For How Many Years Are You Willing to Renew Your New gTLD Domains? For How Many Years Are You Willing to Renew Your New gTLD Domains? 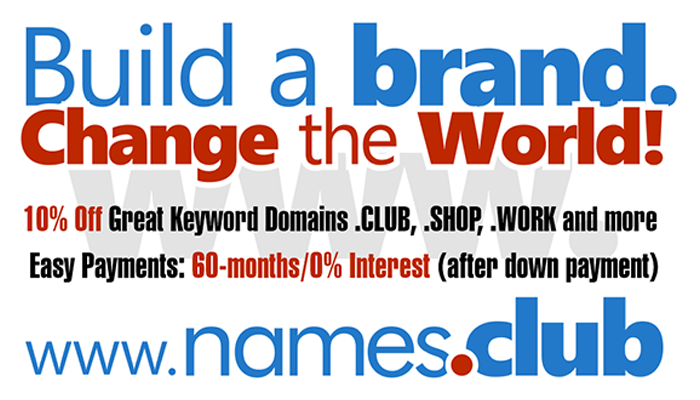 Domainers will have first dibs on the best keywords (leaving those that are reserved by the registries aside) but on the other hand, they have to be prepared to renew them for a few years because at this point, nobody knows (people might have an opinion of course but there are no certainties) whether or not investing in new gTLDs will prove to be worth it. Did you register your .DIRECTORY at GoDaddy.com?